Sometimes in life you end up with weeks where you don't have enough time to fit blogging in and this past week has been ridiculously busy for me! I know I haven't done one of these Instagram style posts in a while and it's been a fun week so I thought i'd show you all what I've been up to! If you don't follow me already on instagram my username is FASHIONTRAIN! 1 - A new crop top from work! absolutely love it! 2 - Reunited with two of my best friends for a night out in Cheltenham! 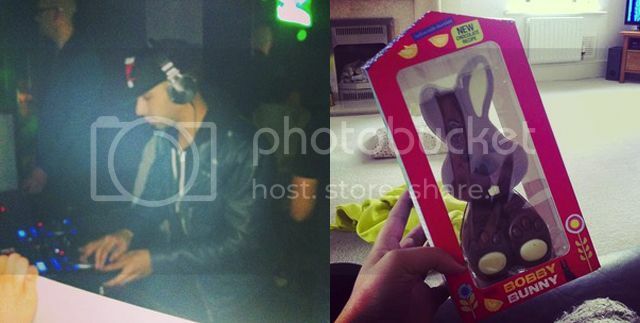 3 - DJ set by Marvin from JLS in Cheltenham! 4 - My little sisters easter egg, how cute is this?! 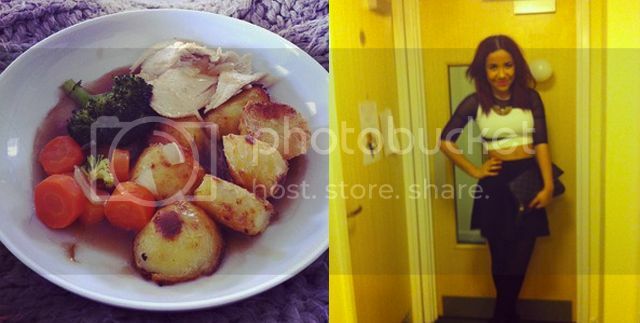 5 - Loved coming home to a roast dinner! 6 - My outfit before I went out on Tuesday night! 7 - Nearly joined the dip dye crew! 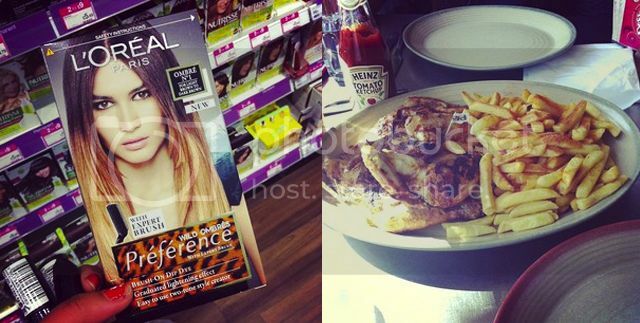 8 - Mine and Sarah's hungover Nandos fest! 9 - Bought some Dungarees! 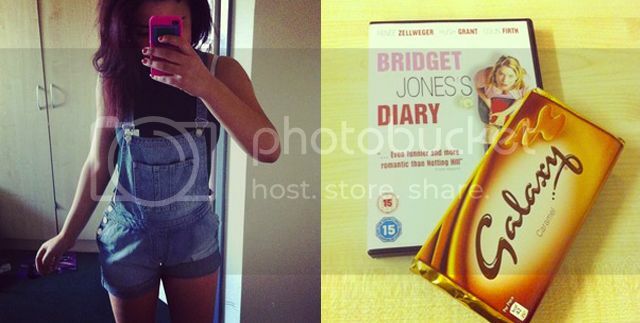 10 - Quality time with my flatmate having a girly night in! 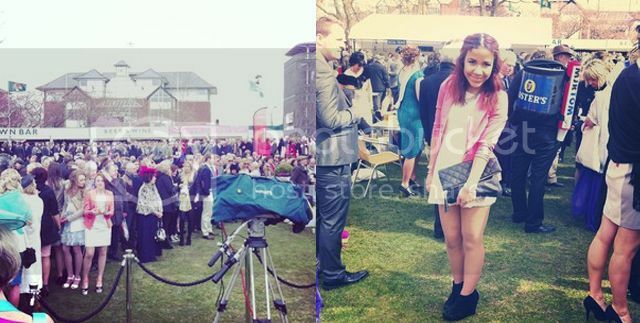 11 - At Aintree Ladies Day! 12 - My outfit for the grand nationals! 13 - My future boyfriend ;) my fave model BB Kaye at the Matalan Style Show! 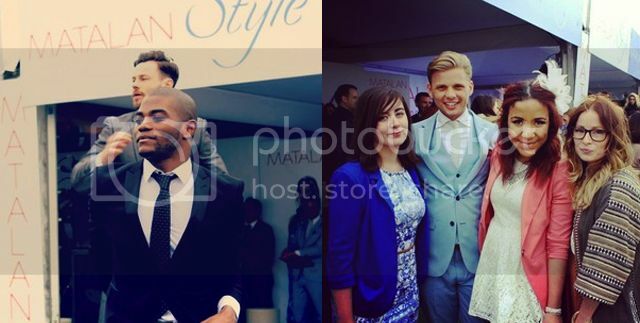 14 - Just chilling with Jeff Brazier at Ladies Day! Its been a really fun week full of shifts at work and interesting things in between! I loved Ladies Day and a post on that shall be up soon but for now this is just an update of a few of the things I've been up to! If you don't do already, please follow me on instagram my username is 'FASHIONTRAIN'! That crop top is really really nice! Where is it from? aah , what a great week! I love those dungarees! Please come and enter my blog giveaway to be in with the chance of winning some soap and glory products and a facial massager/cleanser! Hi, can i buy designer churidar suits from your website? 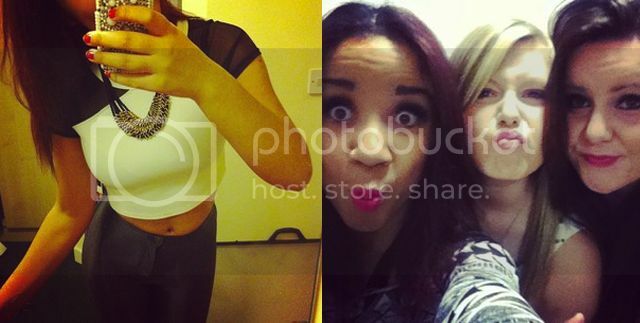 Absolutely loving your crop top!!! Can't believe i've only just discovered your blog - it's amazing!